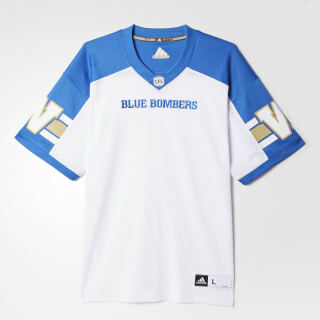 A jersey for dedicated fans of the Winnipeg Blue Bombers. Winnipeg players wear a version of this men's football jersey when they take their pass-rushing style on the road. 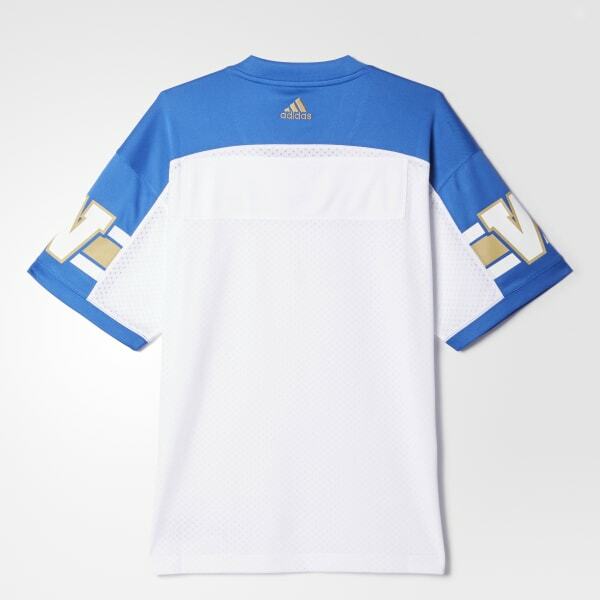 Styled after the Blue Bombers' away uniform, the jersey helps you cheer the team on.